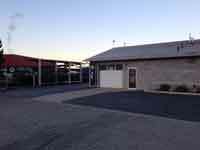 Advanced Powder Coating was founded in Utah County by Shaun Houston in 2005. His desire to start his business stems from his passion for automobiles and being a so called Gear Head with interests in Old School Hot Rods, Classic Cars and Off road vehicles. Realizing the importance of maintenance and keeping them looking good, he always strived to live up to the saying he uses. “It does not matter what you do, just look good doing it”. Therefore a durable, nice looking, quality finish was always a concern on his projects. Advanced Powder Coating has a strong history of providing customers a quality product, quick turnaround, at a competitive price. Advanced Powder Coating in Utah County is by far the number one choice for people who want quality results on their powder coating projects. Our staff has a combined work experience of over 18 years in the coatings industry. So give them a call today, to allow them the right to earn your business. Located in Lindon, Utah just off I-15 exit 275. Only 20 min south of Salt Lake City Utah. Our employees are trained and dedicated. Our fast turn-around gives you peace of mind. We monitor the details to insure high quality . . . your satisfaction is guaranteed.